Marine litter is made up of discarded objects that do not occur naturally in the marine and coastal environment. Alarmingly, over the past 15 years the amount of marine litter washing up on UK beaches has almost doubled. Typical examples of marine litter include waste from beach users, sewage-related debris, medical waste, shipping debris and fishing waste. 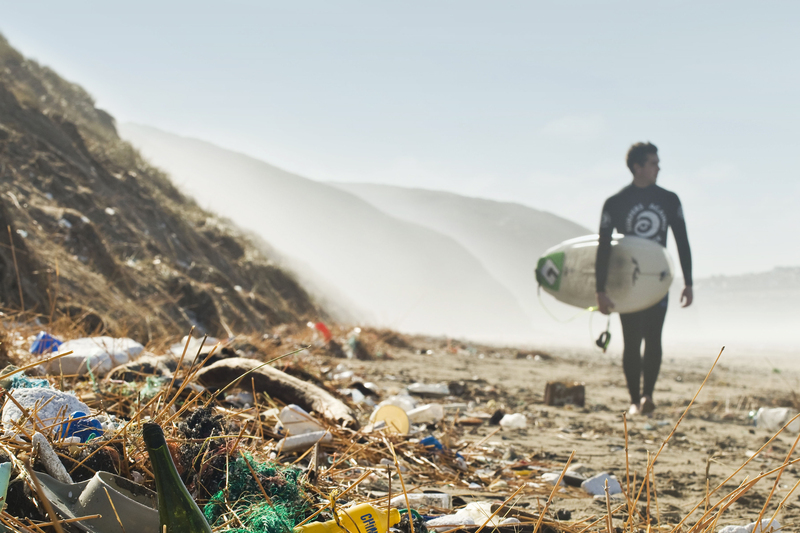 The vast majority of marine litter is plastic, which never truly breaks down. Experts suggest plastic left in the environment will be with us in some microscopic form many thousands of years. When in the sea, plastics can also adsorb toxic chemicals, becoming increasingly harmful over time, and often entering the food chain when mistaken for food items by fish, seabirds, marine mammals and other organisms. Over 100,000 marine mammals and over 1 million seabirds die every year from ingestion of and entanglement in marine litter. Beach users have to be wary of injury from broken glass, rusting metal or discarded medical waste. We should also be aware that the beach is likely to suffer from sewage discharges if sewage-related debris such as cotton bud sticks or tampon applicators are present. Marine litter strewn all over a beach can also have a detrimental effect on tourism with visitors put off from using it for recreation. 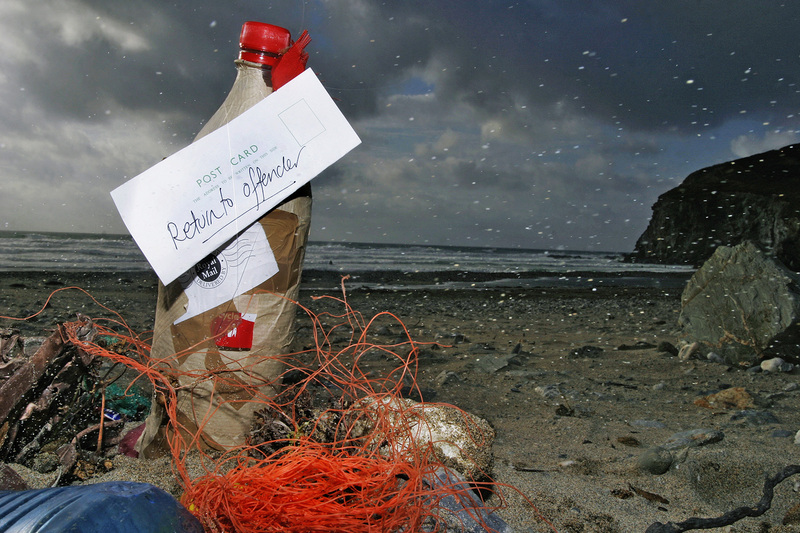 The Return To Offender campaign sends a digital message of items of identifiable marine litter found on UK beaches back to the manufacturers and distributors, challenging them to do more to ensure their products don’t end up as litter. Extended Producer Responsibility – Develop active and improved product stewardship strategies (Extended Producer Responsibility) to better protect the marine and wider environment from their products and associated packaging. Behavioural Change Campaigns – Support school education programmes & wider behavioural change campaigns to transform how the public buys, uses and consumes products. Reduce, Reuse & Recycle – Reduce the amount of unnecessary packaging used. Support and facilitate re-use and recycling, particularly at beach and coastal locations. Grassroots Conservation – Support grass roots marine conservation initiatives and beach clean activities. Environmental Impact Labels – Develop environmental impact icons and messaging to encourage recycling & better disposal. We are calling for business-wide Extended Producer/Distributor Responsibility (EPDR) programmes for all products and packaging made and sold in the UK. We are calling for companies to develop active product stewardship strategies to better protect the marine and wider environment, reduce levels of litter whilst also ensuring greater sustainability and efficiency within the manufacturing process, and specifically to reduce or eliminate excess packaging wherever possible, preferably through more efficient design. Manufacturers should review how they design, produce and sell their products and associated packaging and revaluate their supply chains to close the loop on litter entering the environment. The earlier potential waste and litter can be designed, engineered or eliminated from the manufacturing cycle, the smaller chance litter will enter the environment and the smaller the volume. Our calls for businesses to be more proactive in waste, recycling and resource management at the beachfront, through better infrastructure development and improved collections systems. We are also calling for enhanced labelling on single-use plastic packaging to include additional environmental impact messaging, alongside more prominent recycling information. We are calling for prominent icons and wording to be developed to convey environmental threats packaging can pose. Our award-winning marine litter campaign has sent thousands of items of identifiable marine litter found on UK beaches back to the manufacturers challenging them on their sustainability credentials and recycling policies. You’re not only an environmentalist, you’re a consumer, and so these big companies will listen to what you have to say. With your help this campaign can continue to make a real difference to what we find on our beaches by sending beach litter back to where it was made, calling into question how industry is addressing the marine litter crisis. With one storm down and straight into another one it seemed our beaches were in for another battering, dumping more and more marine litter onto our coastline. However, there was a silver lining; communities across the UK came out in force cleaning their beaches in the wake of these storms. This particular weekend was no different, with one of the World’s biggest beach cleans taking place in Aberdeen organised by two local volunteers, who simply wanted to do something about it! Over 500 people turned out in a fantastic show of collaboration to help remove several tonnes of marine litter from the beach. Hard work and an incredible result! This is just one example of how ordinary people can come together and carry out a small act to protect and improve their local beach. A #minibeachclean turned into a #megabeachclean. Hard work was put in on the day, but the actions of a few led to the following of many. If you really want to try and lead your own beach clean but are maybe; short of time, shy, don’t like paperwork or just want to start small then #MiniBeachClean is a great way to ‘test the water’. As long as you are appropriately dressed and stay safe (please see SAS-Safety-Guidelines) you shouldn’t have to ask permission or fill out loads of forms to remove some litter from your favourite places. The beauty of #MiniBeachClean is that it’s up to you how you do it! Whether you kit up with some heavy duty gloves, a wheelbarrow and a pack lunch to the farthest reaches of your favourite stretch of coastline or simply fill your hands with the plastics that you come across on a family walk. The key is that YOU are doing something positive and representing YOUR beach! Just take care to stay safe and only remove safe plastics. 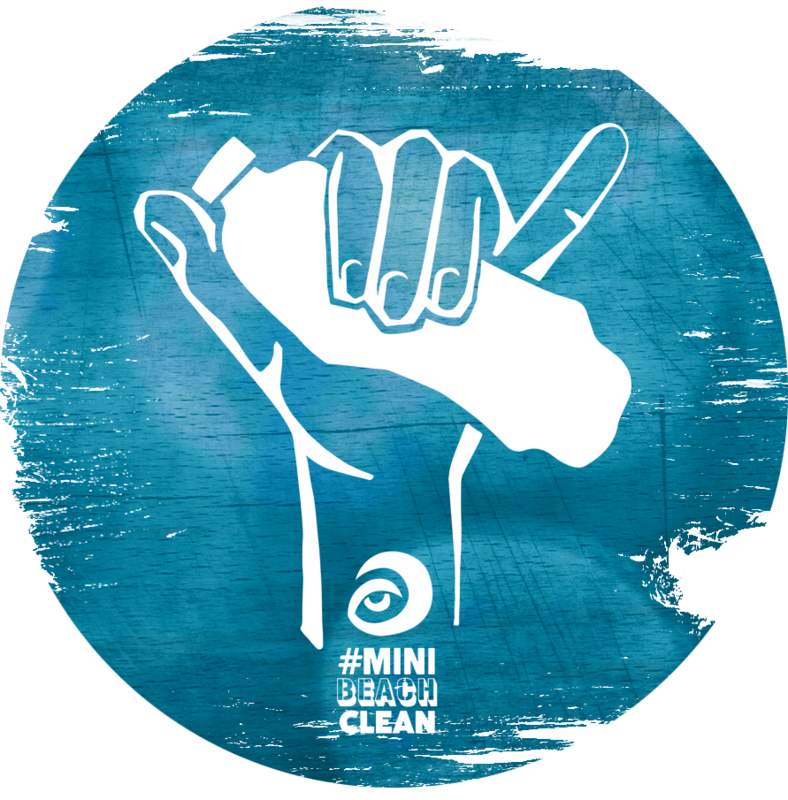 Take a photo of your #MiniBeachClean haul or you could even try our #MiniBeachClean ‘Shaka’ with the item of litter that most annoys and upsets you! Upload your #MiniBeachClean to your social media account – Make sure to tag your beach! When I meet activists coming to Washington, DC, for the first time, they often tell me they feel intimidated by lobbying. They may believe it is beyond their capability, the province of high-powered lawyers spreading money and schmoozing senators at swanky restaurants behind closed doors. There is some of that, but most lobbying is just honest people using shoe leather, email and the phone. And there is nothing involved in lobbying that you can’t do. Frankly, it’s hard to imagine you haven’t done it already. There are already existing measures that can tackle litter entering our environment. While behavioural change is vital to stop people littering, governmental influence can speed this process and ensure mandatory requirements are in place to prevent people littering our environment. Your MP is your elected official representing you in parliament. Use them. Challenge them to make your agenda, their agenda. The best way to lobby your MP and task them to take up your concerns is to personally contact them. This needn’t be complex or long; but a personal letter to them often makes them stand up and take note, share your experience, include images, stats, make sure they know how important this issue is to you. SAS have provided a letter template outlining a challenge to MPs on Marine Litter; please feel free to use this to structure your own letter. 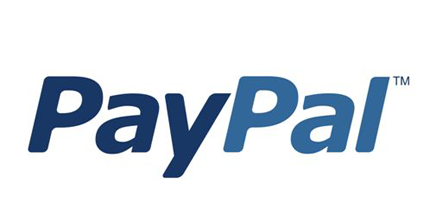 The steps are the same if you want to start your letter from scratch, if you are stuck or have any questions please don’t hesitate to get in touch with the SAS team who will be able to help you out. Remember, a personal letter can often be MUCH MORE effective at showing your passion and desire to protect the environment. 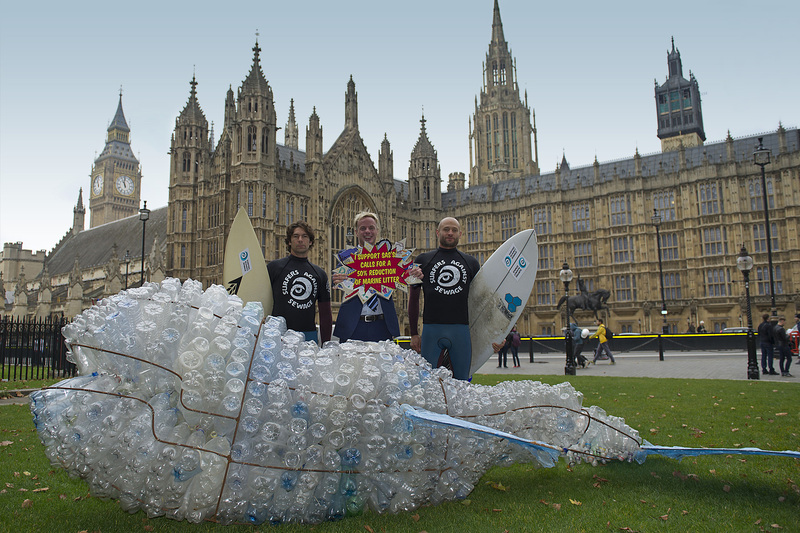 Some of our MPs are already members of the Protect Our Waves All Party Parliamentary Group. If your MP is not a member check the list below and invite them to join! This way we can directly Lobby them during the group meeting and ensure that they are kept up to date with any new evidence or campaigns that might be threatening waves around the country. Step 3: Add your name and address to the letter. Alternatively, post to the address featured on the letter. Step 6: Let others know that you have sent a letter to your MP and call on them to do the same!